Are you able to get your kids to talk? Do they open up without too much prodding and love to give you every minute detail of their life. If this is your child, count your blessings – this article isn’t for you! If you have a child that makes you feel like you are interrogating them every time you ask them a simple question – read on. With “I don’t know” and one word answers – conversations with these children can come to a crashing halt before they ever really begin. When you talk to children for a living – like I do – this issue can be magnified ten fold. Hour after hour, shrug after shrug, you slowly develop mad skills on how to get kids to talk. And even then – it doesn’t work all of the time. If a child really doesn’t want to open up – no amount of prodding will help. With that said, I have found that many children want to talk, but we inadvertently shut them down. We sometimes add our own unsolicited advice, move into lecture mode or relate the conversation back to our own experiences. For some kids this is a conversation killer. So what gets kids to talk? Some very simple tweaks in how we speak to them. These suggestions may seem simplistic and insignificant, but trust me – I have sat through hours and hours and hours and hours of therapy sessions with kids – and these small changes in how I talk to them – make a HUGE difference. Kids want to be heard. They want to be understood. If we rush in to give our two cents – they aren’t going to feel heard or understood. Bite your tongue – literally if you have to. This simple and obvious skill took me a long time to master. Silence is uncomfortable. I would ask a child a question and would then squirm in the silence. In my younger days I would rush in to help them with an answer – or elaborate on my question – anything to avoid sitting in the silence. What I have learned is that some kids don’t verbalize their feelings quickly. When I nod and show them I am listening – kids continue to talk. They continue to tell me more. The number one complaint I hear from kids (my own included!) is that they do not want our advice. Well that’s confusing? Your daughter cries to you about her friend drama or your son talks about the mean kids on the bus. You naturally move in with your words of wisdom. What’s wrong with that? Frankly, I don’t know. But, what I do know is that kids don’t usually like it. Sit with their feelings for a bit. Commiserate about how that must have made them feel. You will get more out of them and they are more likely to continue elaborating on the issue. Sentences like, “That must have been so hard” or “That must have made you so angry” will help continue the conversation. When your child is done venting ask them, “What do you think you’ll do about it?” Hear what they have to say. If you have advice at this point, soften it with something like, “there might be another option. You can…” This will help your child feel like you are working with them and not lecturing them. I have discussed this with my tween daughter and we have agreed that she will specifically ask for my advice – when she wants it. This has helped our relationship, as I am sure I was driving her crazy in our early years. 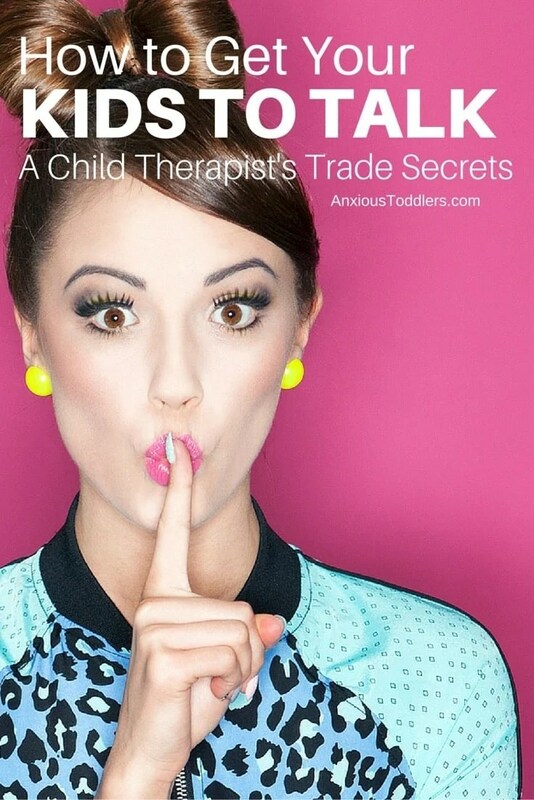 The curse of having a child therapist as a mom. Okay – you are not going to be wowed by this next part. But trust me – simply changing how you ask questions can make or break your conversation. This is a tried-and-true theory based on thousands of painful therapy sessions in my early years. Okay – here is some more of my verbal judo that will seem less than impressive. OTHER ARTICLES: The Battle of the Milk: Toddler always wins. For some reason – the first sentence can sound accusatory or judgmental, while the second is acknowledging the feeling and asking for them to elaborate. I know – what’s the difference – but there is one. Trust me. I also alter questions like, “What do you like about it” to “What’s the best part about it” or conversely “What do you not like about it” to “What is the worst part about it?” Again, the second sentences sound better to kids and they are more likely to answer them. Every child is different. Every conversation is different. If you are looking to improve your conversation with your child or the children you work with – try these simple, but effective tweaks in your conversation. Do you have some verbal judo that works for your kids or the kids you work with? Share them in the comments. This old dog would love to learn some new tricks! Do you know someone who struggles to get their kids to talk? Share this article with them! Natasha Daniels is also the author of How to Parent Your Anxious Toddler. She also has a video course on How to Parent Your Anxious Kids – for all ages.